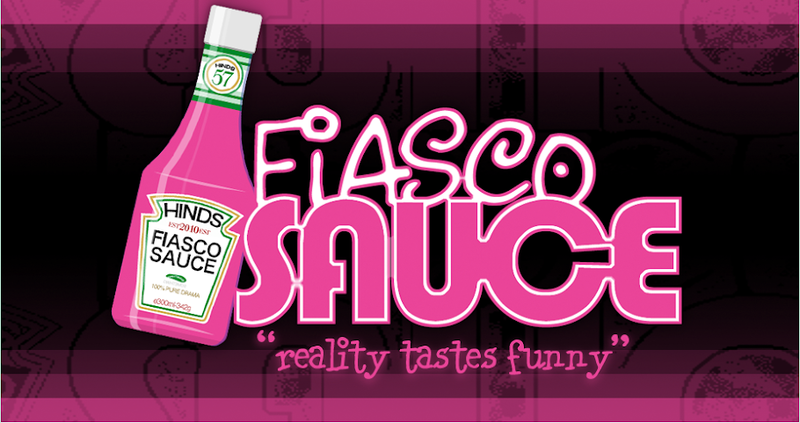 Fiasco Sauce: Jersey Shore "Crime and Punishment"
Jersey Shore "Crime and Punishment"
The gang is still agog with the fact that Deena pulled a double “robbery” with one half of the oh-so-not-nice twins, Erika. First she stole the girl from Mike, then she later stole the same girl from Vinny. This girl, Erika that is, has no preference on who or when or what she is with … she’s just downright skanky. However, I’m not sure Deena seems any better. Because the boys (not men, boys) are still in awe over Deena’s robbery; they decide to play a joke on Deena and put her bed in the living room. She literally has a meltdown over it. Jenni, ever the sensible one again, tries to play “roommate matchmaker” and wants everyone to kiss and make up. The guys are on board so it’s done. And, we’re still going on and on about Snooki’s supposed hook up with Mike. She tells her boyfriend about what Mike is saying and denies to Jionni that it’s true. Her boyfriend takes her side (he seems like a good guy), so Snooki hopes this is all behind her. Oh, and then there is Ronnie and Sammi. It only takes one night out at the club, with a few drinks down, for Sammi to resort to her old jealous tricks. She sees a girl dancing in the vicinity of Ronnie and just about loses it. He’s had enough. She does not trust him. I don’t think she ever will. The break up is on, or is it? I can’t tell. They go home, and in their drunken idiocy, Sammi tells Ronnie something that Mike said about Ronnie bringing five girls home when they were in Miami or something like that. Who cares? Mike is always flapping his gums and starting crap. Just ignore him people! But Sammi can’t ignore it. And, apparently, Ronnie can’t either and starts a fight with Mike … but more on that next week. • Pauly D, Deena and Snooki have their first day working at the pizza place. Pauly D seems to be enjoying himself while the girls are trying to sneak wine in the back. Busted. • Jenni hears Ronnie talking on the phone to his “friend” Hannah. They actually consider writing another note. • Mike and Pauly D bring home two girls from the club, Yab. Thankfully, these girls sobered up and made their parents proud by leaving the hornet’s nest before they became one of many. Jersey Shore 2011 - Episode 1, Italia!